Is Birthday Cake ‘bad’ for you? Consider this: would anyone judge you for having cake on your birthday? It’s a given isn’t it? Birthday & cake, hand in hand, totally normal. ❌It’s not deemed a ‘bad’ thing. It’s also totally normal to join in & eat cake when you are celebrating a friend/loved ones bday. Did I eat cake? Yes! However, what about having cake when it isn’t your birthday? It’s just a ‘normal’ day? Perhaps it’s just a little occasional treat that you just fancied? Is this acceptable? Probably, yes. Is it ‘bad’ for you? Not necessarily….. However, what about eating birthday cake every other day? Is this ‘bad’ for you? The thing here is that the cake hasn’t changed, what has changed is your choice. It’s not about the cake being ‘bad’ for you, it’s about making good or bad choices, choices which in turn help determine your outcome. Eating cake on a birthday isn’t bad…eating cake every day becomes a bad choice..
❌Try not to label foods as ‘good’ or ‘bad’, doing so can often lead to negative relationships with certain foods, but instead consider that there are only good or bad choices..
✅As with all aspects of life, its your choices that will effect the end result/goal. 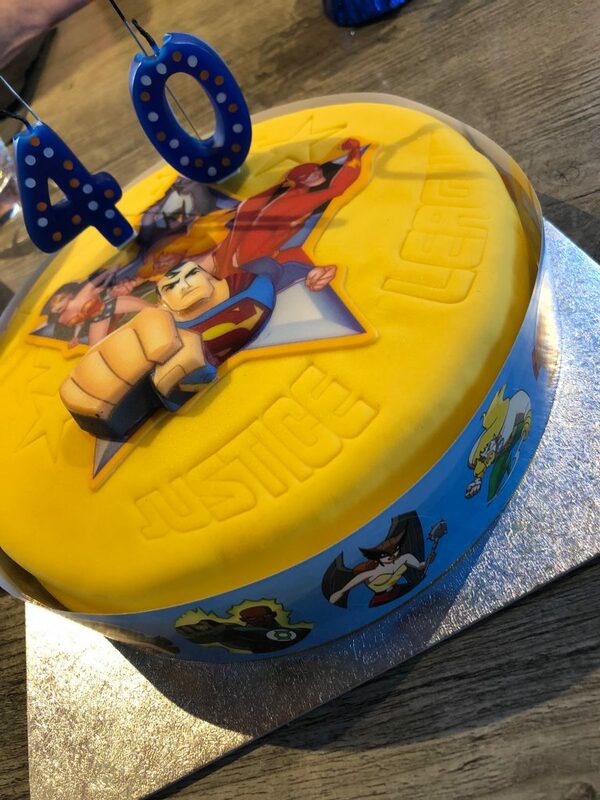 P.S- yes, that’s a Justice League cake, and yes I am 40…. ← PERSONAL TRAINING: SPECIAL OFFER!